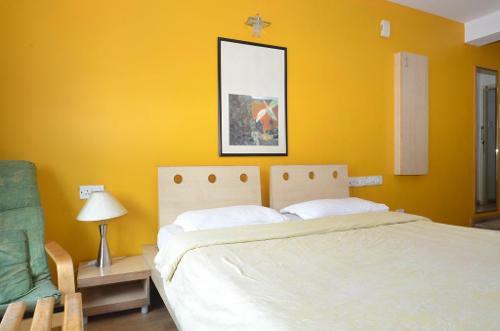 This Service apartment in Residency road is located in the heart of the city close to Bishop Cottons Boys School and Counsulate General of Germany on Residency road, Bangalore, 1.8 kms from M.G. Road Metro Station, 2.1 kms from M Chinnaswamy Cricket Stadium, Bangalore, 4.7 kms from Bangalore City Railway station and 35.3 kms from Kempegowda International Airport, Bangalore. 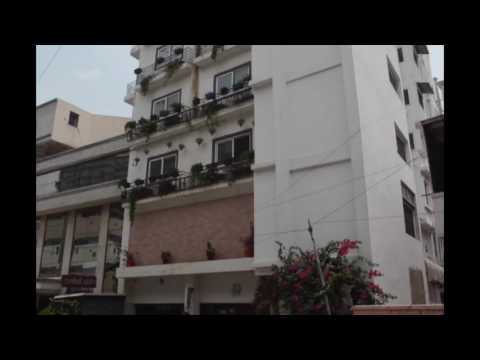 Bangalore Club is just 400 meters away from this Service Apartment, Bangalore Brew Works, Konark Veg and The Open box are some of the fine dining places around this service apartment at a walkable distance. 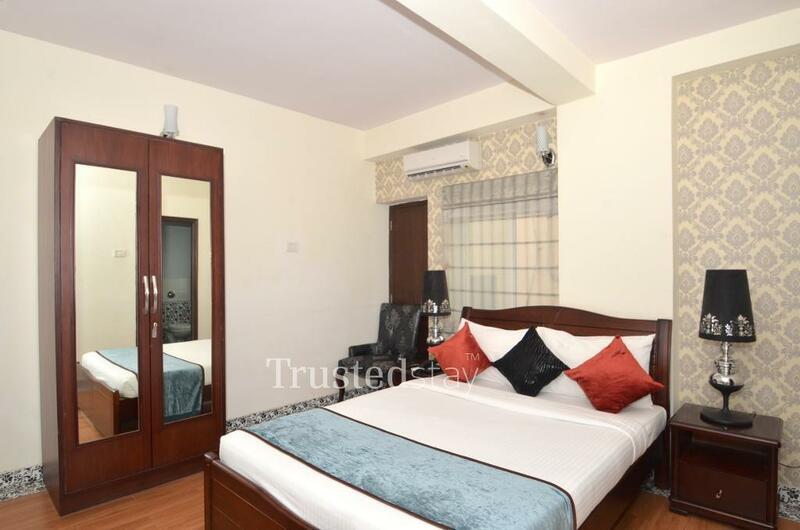 This stand alone property offers a total 18 Serviced rooms. 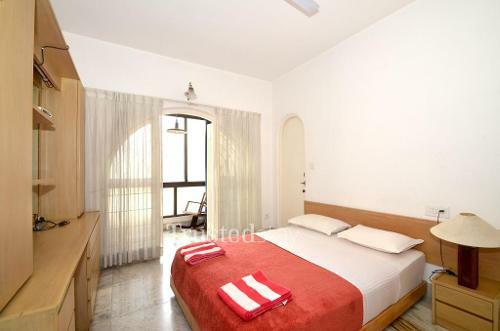 6 nos Standard rooms, 10 nos exeutive rooms & 2 nos Deluxe rooms spread from 4th to 7th floor, all rooms are fully furnished with AC, TV and attached bathrooms. 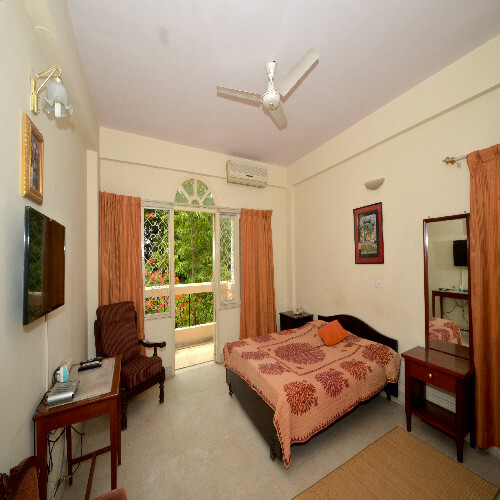 Deluxe rooms are like Studio with an independent sitout attached to the bedroom. Standard room has Quen size beds whereas the Deluxe has King size beds. Buffet breakfast will be served from the central kitchen on the 7th floor, meals can be ordered on a-la-carte basis, ideal for corporate and families either short or long stay.